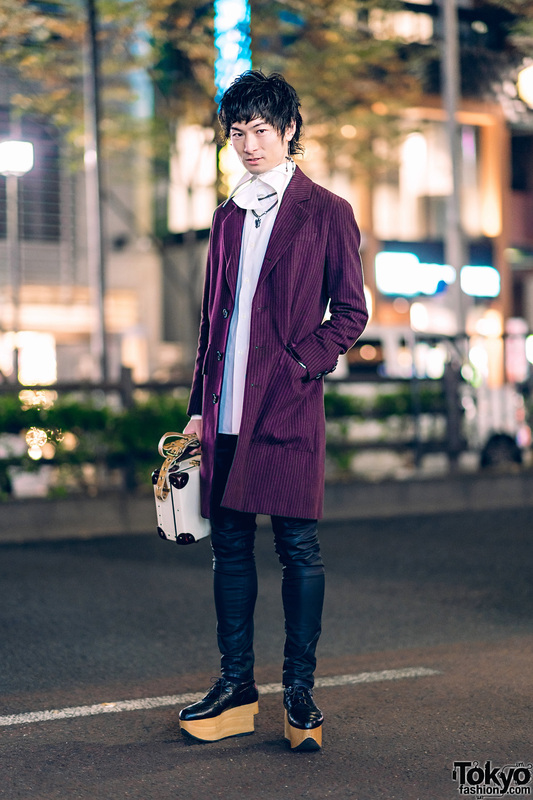 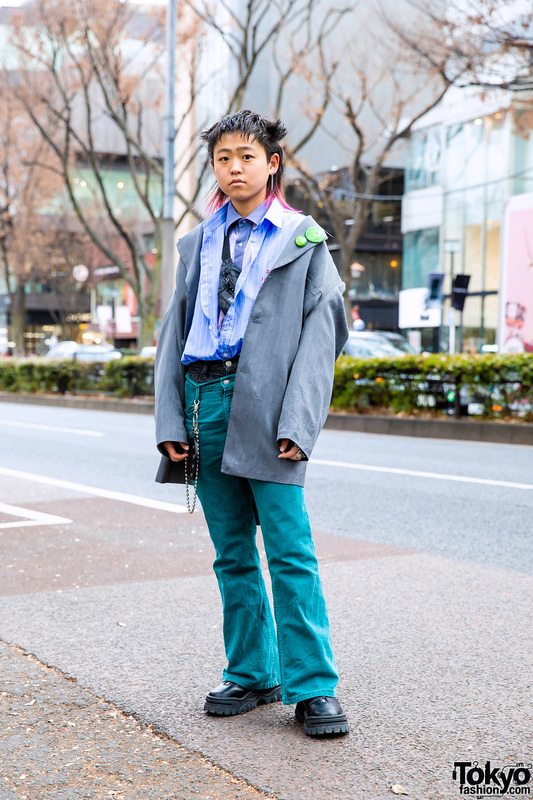 Popular Harajuku guy in head-to-toe Vivienne Westwood ensemble while out and about one evening. 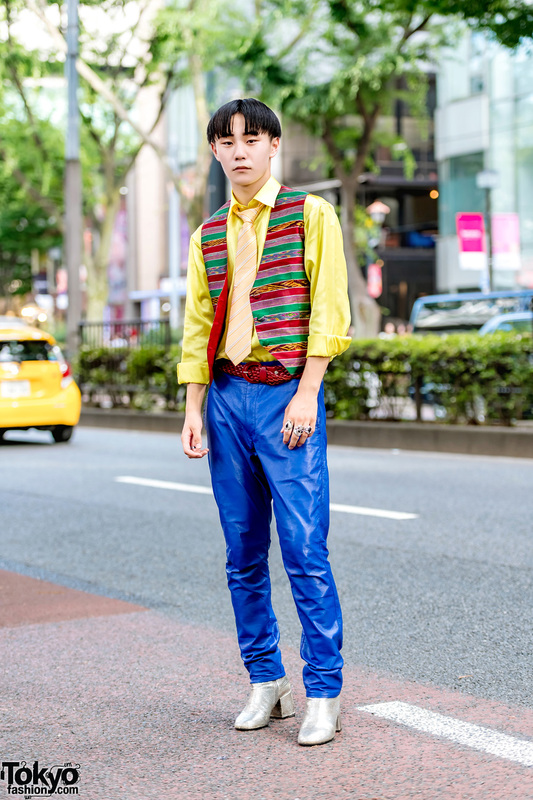 Harajuku student in a print shirt, blue pants, black boots with yellow laces, silver jewelry and a red ruffle bag. 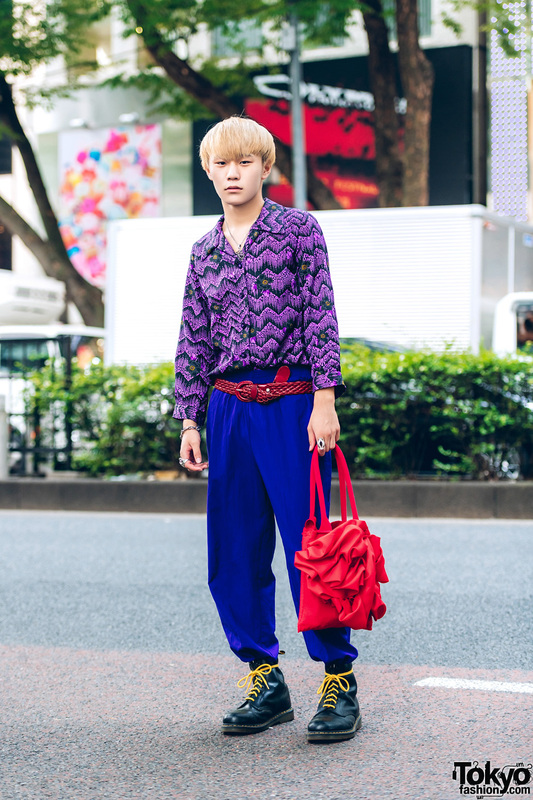 Vivienne Westwood World’s End graphic print top and flannel skirt in Harajuku.